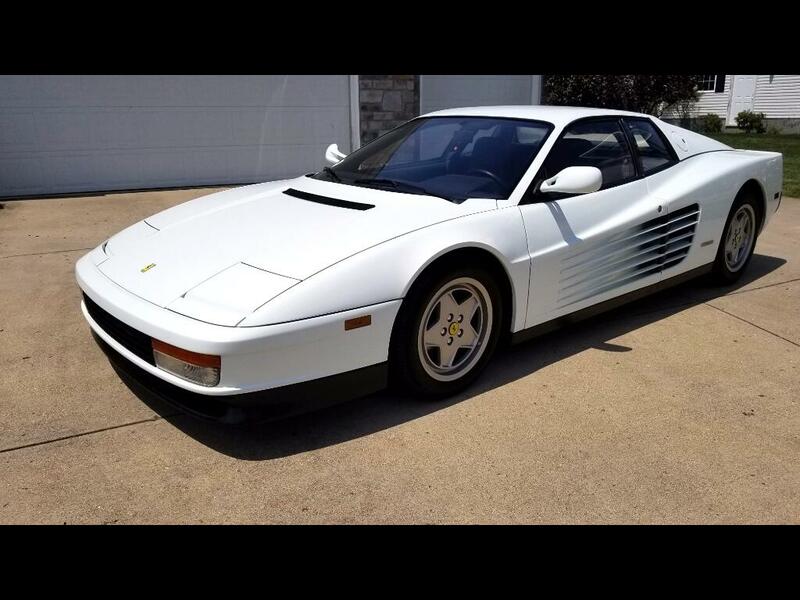 Gorgeous 1991 Ferrari Testarossa with only 11K miles from new. As nice as they come without going back to 1991 and buying it off the showroom floor. Everything is completely up to date. All original paint and interior. Clean Carfax with no accidents. Please take a look through all of the detailed pictures and see a car that has obviously had only the best of care. Only 266 were sold in the US in 1991. The production figures for this color combination is in the single digits. The right one to own from a collectibility standpoint. Stunning!! Complete with all of the books, manuals, tools, Ferrari hand held trouble light(rare), fuse/bulb container, complete spare, and with major receipt.